SMT Common Mode Choke offers custom design opportunities. Designed for AC power line filtering and EMI suppression in switch-mode power supplies, RL-9250 can operate from -40 to +105Ã‚°C and supports custom engineering. 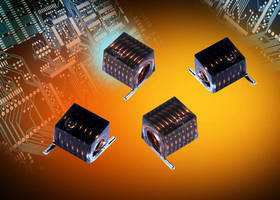 Surface mount common mode choke, offering inductance values from 0.075–12.0 mH and dielectric withstanding voltage ratingÃ‚- of 2,000 Vac line-to-line, is engineered to function inÃ‚Â diverse environments. 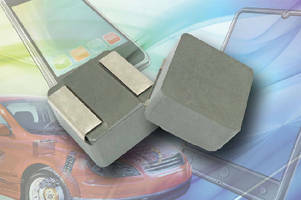 High-Current Automotive Inductor operates up to +155°C. 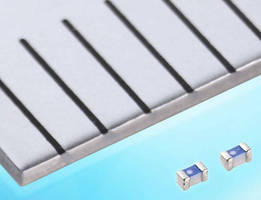 Compact Chip Inductor offers inductance values to 270 nH. 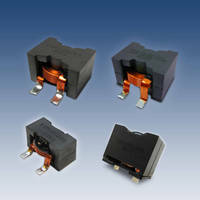 Air Core RF Inductors handle currents from 1.6-4.4 A. 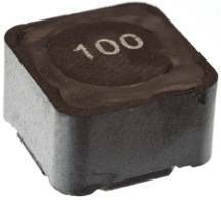 Surface Mount Power Inductor includes magnetic shield. Taller in size than Model RL-7500, Model RL-7500-4 features low resistance to minimize power loss and operates from -40 to +130Ã‚°C. 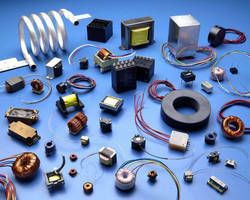 High current unit comes in tape and reel packaging andÃ‚- is suitable forÃ‚Â power line DC-DC conversion in LED applications, notebook computers, and other electronic equipment.